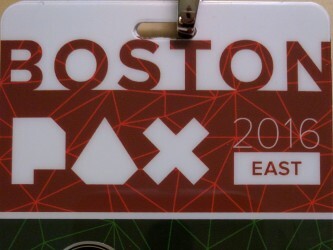 PAX East is, in many ways, BrainLazy’s “local” convention. While our staff has largely split up to take on their own projects, this Boston convention is one that never fails to pull us together. We have a great time each year and come home with notebooks and memory cards LOADED with content, so we felt it would be a fine reason to inject some fresh info into our site. The AAA releases and major publishers put on a great show, building up massive booths and attracting hours-long lines. You can easily spend the whole show standing around waiting to see a half-dozen tent-pole releases from Bethesda, Capcom, Microsoft, and others. Around here we prefer to gorge ourselves on the cornucopia of Indie titles that cover a greater percentage of the floor each year. No surprise, then, that the standout titles come from that rich selection. I’m a huge fan of Metroidvania games. It is a spectacular genre, one that provides huge value in terms of depth and complexity. Like most genres that have been around for a while, though, in order to stand out you’ve got to have a gimmick. Often that’s achieved by folding in mechanics from other genres. The award for most creative mashup in that regard has got to be Refactor, which is a Tetroidvania game. That’s right, they’ve added Tetris to the mix. You play as one of a few rogue Tetrominoes, trying to find a place to fit in within their society (something quite important for Tetris Pieces, I’m sure you can imagine). It has all of the mandatory aspects of Metroidvania games, with new abilities opening up access to additional areas and the like, but each one has a Tetris-appropriate twist. My favorite is the map, which is organized into tetromino-shaped rooms. Once uncovered, these rooms can be repositioned on the map screen to access different areas. However, turning the room could mean that a formerly handy set of stairs is now a useless obstacle on a wall, or a group of boxes have tumbled to one side. Brilliant stuff! This was one of our favorites last year, and seeing it march closer to completion has been a joy. The beautiful illustrated visuals are invariably what draw me in to the game each time I see it, but what I find once I start looking deeper are layers upon layers upon layers. The story, for instance, is about a young resident of Gamearth (the world where video games come from). This means that every frame of the game is rich with references both overt and subtle to other games. I caught myself squealing like an idiot and pointing as our heroes marched past road signs for points on the map I recognized from GTA and The Legend of Zelda. Fallen heroes and monuments to great, vaguely familiar figures of the past scatter the landscape. The gameplay is just as good, less of a run-and-gun style game and more of a think-and-gun, in which bullets are the tools you use to unlock doors, track down weak spots, solve every other conundrum you come across. So fun. So beautiful. So good. 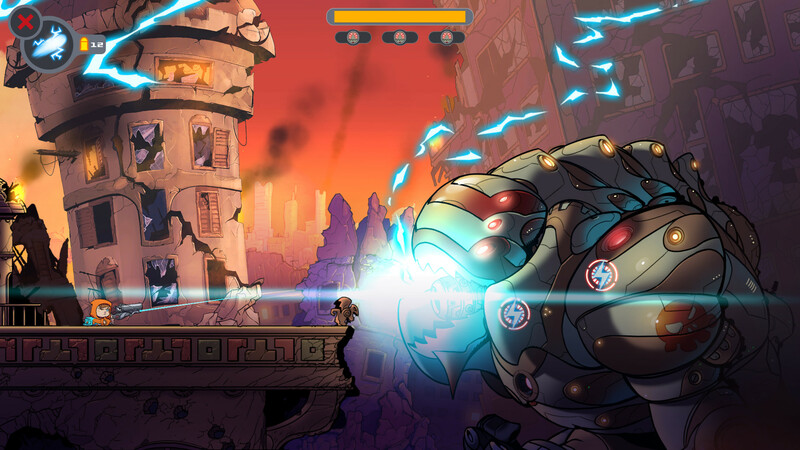 Like Rise and Shine, Death’s Gambit is published by Adult Swim Games, who were a powerhouse this year. As you can see from the trailer, Death’s Gambit is a 2D pixel masterpiece that clearly draws some inspiration from Castlevania. The phrase inevitably used to describe it, however, is “2D Dark Souls” and the description is apt. The combat is unforgiving, complex, and varied. Healing is important enough to be given its own button, and you’ll be spending a lot of time dying. Certain levels evoke Shadow of the Colossus in terms of sheer scope of the enemies. This is the sort of game that can’t really shine on a show floor thanks to the insignificant morsel of gameplay you get to experience before you’ve got to hand off the controller, but just watching the screen is argument enough to buy the game in my opinion. A small but notable addition to the show this year was the restructuring of the tabletop section of the show floor. Rather than a large cafeteria section, the vendors had been pared down greatly in order to make room for an expanded tabletop zone. The perennial Indie Megabooth had a larger Indie Tabletop presence as well. All in all, the crowds of folks hunched over a table puzzling out innovative rules and sorting tokens are growing by leaps and bounds each year. The fingerprints of Dark Souls were all over the convention this year. Death’s Gambit was an obvious example, but it was hardly alone. Everything from Below to Eitr had varying doses of the trademark difficulty, combat, healing, saving, and depth. A similar thing happened in years gone by with roguelikes, but Dark Souls has a far more difficult to duplicate formula, so I think we’ll probably see a broader spread of success in terms of its application. Innovation – A dev, usually an Indie, strikes upon something brand new. Duplication – The following year, everyone’s showing off their spin on this New Thing. Combination – The year after that, the New Thing is mashed up with other things. Stagnation – The New Thing is no longer new, people move on to the next innovation. All in all, it was a tremendous and memorable year. You can look forward to some deeper dives into other games we enjoyed in future posts. Until then, I’d just like to thank Penny Arcade’s crew for putting together another fabulous Geek-stravaganza and we’re already looking forward to next year!